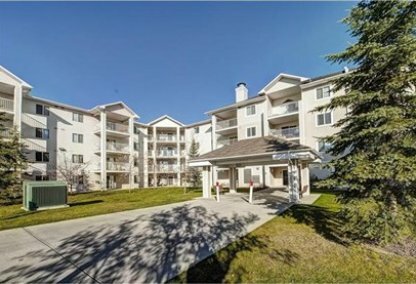 Find the newest Red Carpet condos for sale & real estate listings in Calgary below! The Red Carpet neighborhood is situated at the eastern edge of the city of Calgary. Its right in the middle of the 68th Street SE, Elliston Park, CN tracks International Ave., and the Elliston Lake. 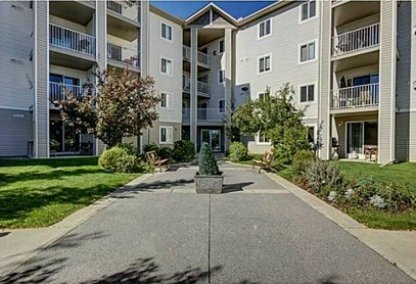 One of the perks of being a resident of these Mountview Condos is the overlooking view of Elliston Park. To schedule a personal home showing call your Red Carpet Calgary real estate team today. Red Carpet housing market statistics: As of April 24, 2019 there are currently 8 properties for sale in Red Carpet listed as active, with an average asking price of $172,375. The highest-priced property is $214,900; the lowest priced property can be purchased for $124,900. Red Carpet neighbourhood listings have an average price of $220 per square foot, based on listings with 1.8 bedrooms, 1.6 baths, and 801 square feet of living space. Selling or buying a home in Red Carpet Calgary soon? Call Justin Havre at RE/MAX First - 403.217.0003. Our community of Red Carpet real estate agents will help you navigate the Red Carpet housing market in Calgary. Immediately south of the Red Carpet neighbourhood is where Elliston Lake is located and is the location for the Global Fest Fireworks display. Occupants of Mountview Condos have access to some of the best seats in the house during this Festival – and they don't even have to leave the comfort of their homes. Elliston Park provides a lot of outdoor amenities to the Red Carpet neighborhood. It has a pond, pathways all around the park, picnic tables and benches, a rose garden, an interactive sundial, a playground, and an off-leash area for dogs. Another great spot near Red Carpet is the Big Rock Brewery Ltd. It offers great beer and great food. They also provide interesting and informative tours to visitors which include great tastings. At the end of the tour you also get a free six-pack. This is guaranteed to loosen you up and comes highly recommended in the community. The Inglewood Bird Sanctuary and Nature Center is also near the Red Carpet community. It's a great spot for home owners and visitors alike to spend a lazy afternoon. The bird sanctuary adds a touch of nature to the neighborhood. There are trails, benches, and lots of water in the area. The Red Carpet neighborhood is near the city but has a lot of nature surrounding it. It's perfect for those who would like to have the convenience of the city with nature for its background. Thinking of buying or selling a home in Red Carpet? Let our local real estate agents help guide you through the purchase of your next home, or to expertly negotiate the sale of your current home. As local Red Carpet real estate agents, we're experts on the market dynamics unique to the Red Carpet real estate market. We'll get to work for you today! Contact Justin Havre at RE/MAX First - 403.217.0003 to learn more about buyer or seller representation. Planning to sell your Red Carpet home? Check out our free home evaluation, where you can instantly price your Calgary home price your Red Carpet home online, in minutes!